Yum Yum: Thursday Thoughts - The Capers Are Gone! Thursday Thoughts - The Capers Are Gone! 1. 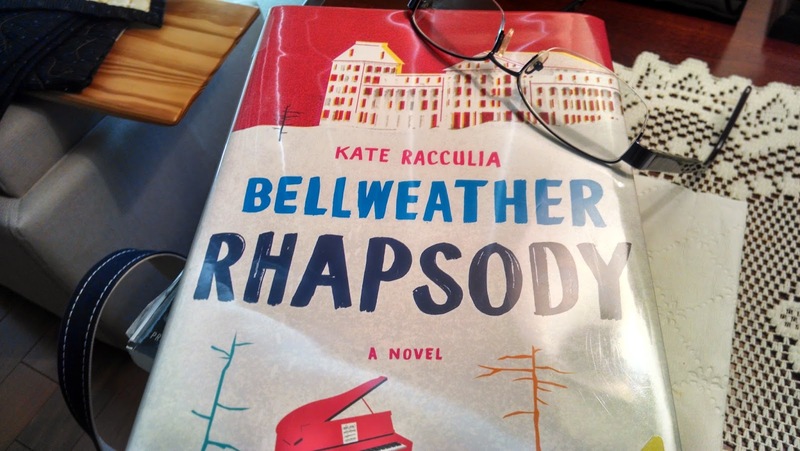 I finished reading Bellweather Rhapsody. What a good book! I was engrossed in this one, too, like I was when I was reading Bittersweet, and pretty much ignored SP while I read. 2. We finally went to see X-Men Days of Future Past. It's fun, a good movie, and I never found myself getting bored, but somehow I was a little unsatisfied. For super hero/comics movies, I preferred this year's Captain America & Spiderman movies. 3. This week we made Chicken Meuniere for dinner. It's been a while since we last made it, but it's quick & easy. Such wonderful flavors: tomato, kalamata, lemon, capers, parsley, white wine. 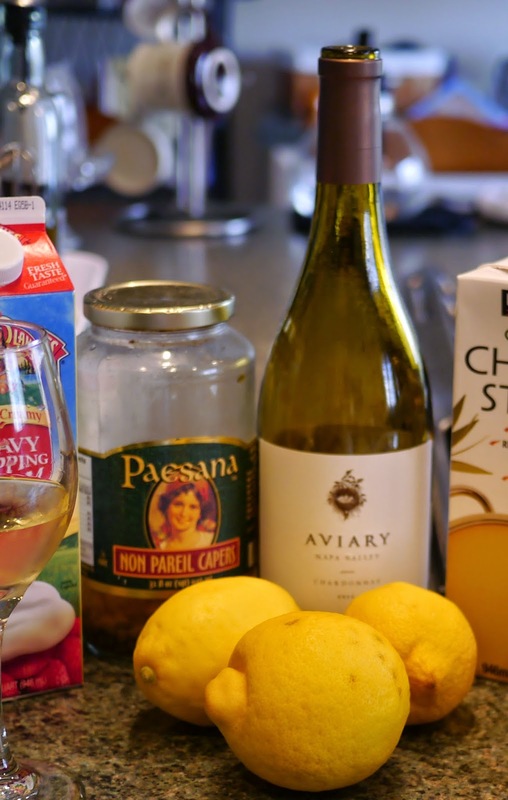 SP likes to use real wine when we cook, not cooking wine, but I really wanted an Old Fashioned cocktail, not wine, so instead of opening a bottle of white wine, we used cooking wine. He ate his with quinoa. I wanted rice, but it turned out we are out of rice, so I had mine with bow tie pasta. Our vegetable was steamed broccoli. Yum! Best part: we FINALLY used up the Costco jar of capers. It only took... um... 6 years, I think. I'm pretty sure when we bought the house 6 years ago that SP moved his giant jar of capers into our tiny side by side refrigerator and I'm pretty sure I mercilessly mocked his giant jar of capers. Seriously, who eats that many capers? I guess we do... in 6 years. He's threatening to buy another giant jar of capers the next time he's at Costco. 4. So. Old Fashioneds. I am loving them lately. I had a fantastic one at Meat & Potatoes last month - with a peppery kick. SP makes them for me. He takes one of our rocks glasses, puts in 4-5 ice cubes (but sometime soon I want to get a giant ice cube mold like this one), pours in a bit of simple syrup, 4-5 dashes of bitters (nothing fancy, just 'regular' Angostura aromatic bitters from the grocery store), adds a bit of club soda, and then 1.5 ounces of bourbon. He sometimes garnishes it with a frozen cherry or orange slice. So good. In fact, if I keep drinking them the way I have been, I'll run out of my Weller 12 Year soon - hope my source decides on a 19 hour drive and not a 3-4 hour flight to Pittsburgh this summer!! !